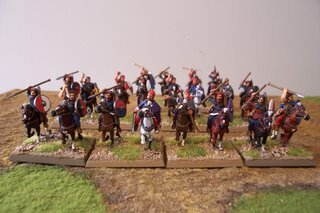 These are 2x10 figure light Sarmatian cavalry for my Pontic army (Rhoxolani). 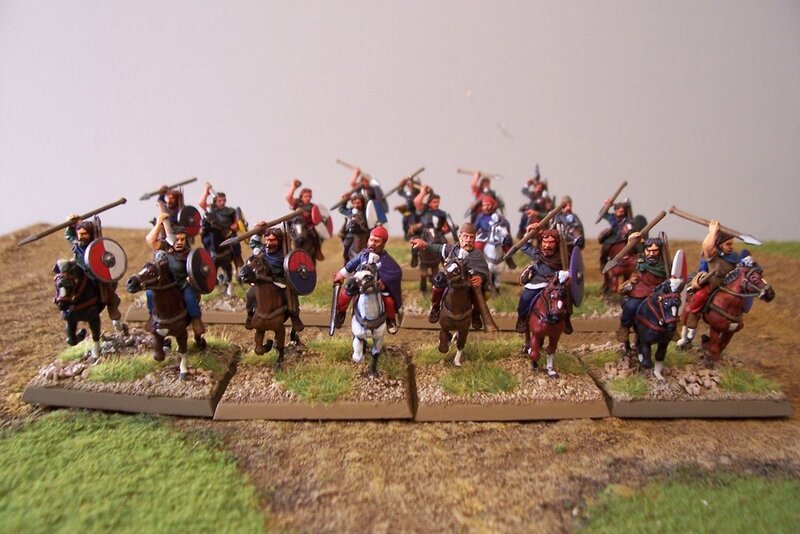 The figures are all Foundry Dacian/Sarmatian light cavalry with added shield, bow and quiver. 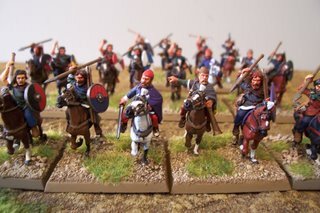 They are all mounted on 1st Corps horses, some small conversions have been carried out on the figures such as the musican in the center of the top photo.